In Quantum Gravity Research‘s (QGR) video ‘Category Theory: The Associahedra and Postnikov’s Simplices ‘, physicist and QGR researcher Dr. Marni Sheppeard, introduces category theory in the context of emergence theory and combinatoric connection to the Quasicrystalline Spin Network (QSN). Marni is one of New Zealand’s leading experts on the application of category theory to quantum information. Category theory is a branch of mathematics which attempts a formalization in terms of higher dimensional abstraction of sets. There are new kinds of mathematics, that organize older concepts. Although we refer here to category theory, the technical idea of a category is merely one example of the developing higher-order language. The associahedra polytopes underlie graphical methods in the computation of gluon scattering amplitudes. Here Marni talks about a number of ways in which these polytopes are fundamental to geometry, and their combinatorial properties. 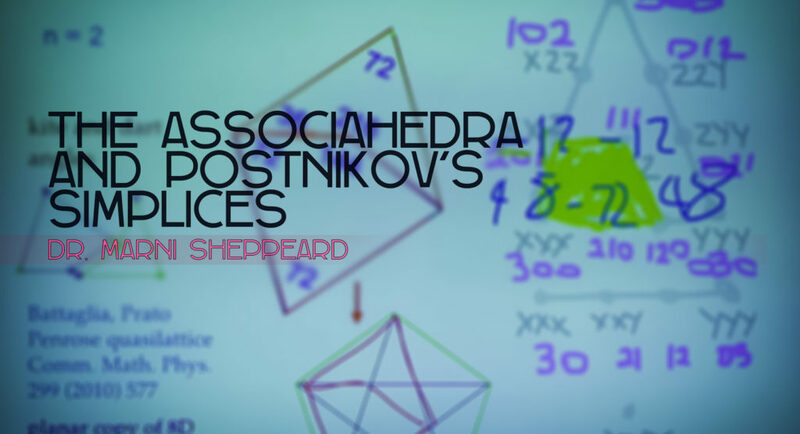 Associahedra generalize to higher dimensional examples like the permutation polytopes, as ‘operads’, and occur as axioms for higher dimensional categories. The paper briefly discusses special dimensions related to maximally efficient networks, “code power” and two letter codes, quasicrystal code possibility spaces, the non-locality of crystals, and touches upon other aspects of the conceptual framework of emergence theory, an approach to unification physics based on the quasicrystalline spin network.